Desperate for a holiday with your family or friends, but your pets are family too? We’ve got you covered with our wide selection of villas where you can bring your beloved pet along as well! Here they can enjoy the open spaces, sun and water just as much as you. If you think that your pet deserves no less than a getaway in a castle in Italy, this is the place! 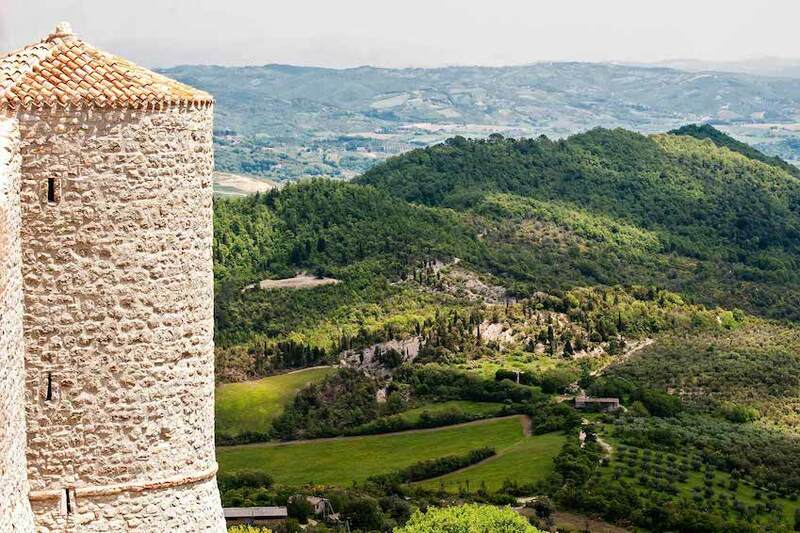 This fantastic property was hardly more than an ancient ruin in 2005, however, with the incredible work of architect Domenico Minchilli and interior designer Martyn Lawrence Bullard, the original 12th century castle has been beautifully restored and recreated. 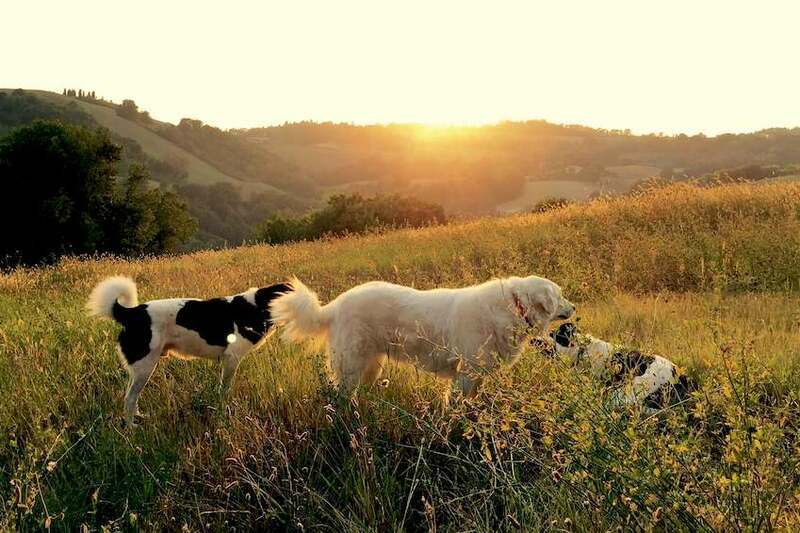 Its hilltop location offers spectacular panoramic views over the Umbrian countryside, which provides many walking opportunities for you and your pets. The grounds also include several large lawn areas that are perfect for a runaround, alongside many open courtyards and a large swimming pool. The interior floors are predominantly stone, so there is little worry of your pets creating a mess. This is a unique luxury escape that you will never forget, and your pets will be entirely grateful for! 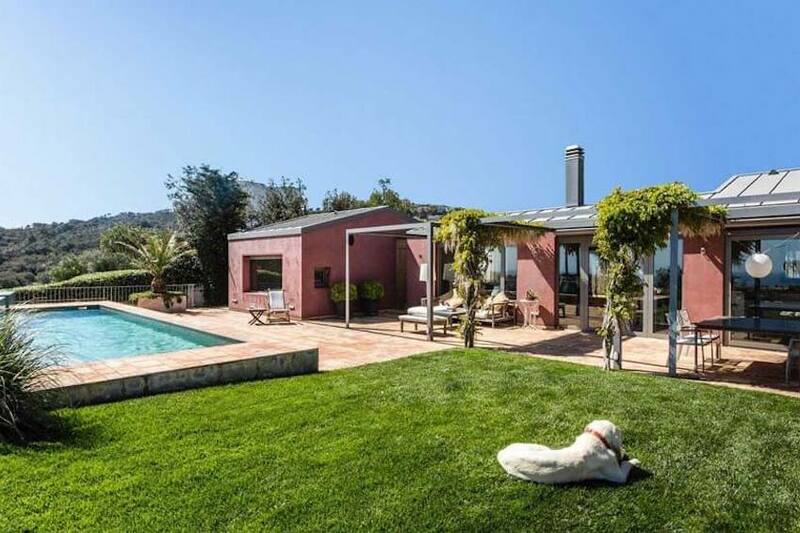 Located in the old town of Begur in the Costa Brava region, this lovely villa overlooks the sea and has an open terrace and lawn area surrounding the pool on 600m² of land. Sit in the shade of the vines admiring the view with your pets, or inside lounge around the beautifully designed fireplace. The indoor living area has floor to ceiling windows overlooking the garden and the sea beyond, so you can enjoy the landscapes from the cool interiors, your pets free to roam between the two. 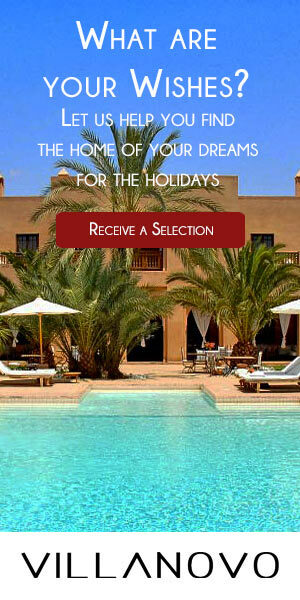 For you, the bedroom includes a jacuzzi tub and a shower room that has a large window overlooking the Mediterranean! 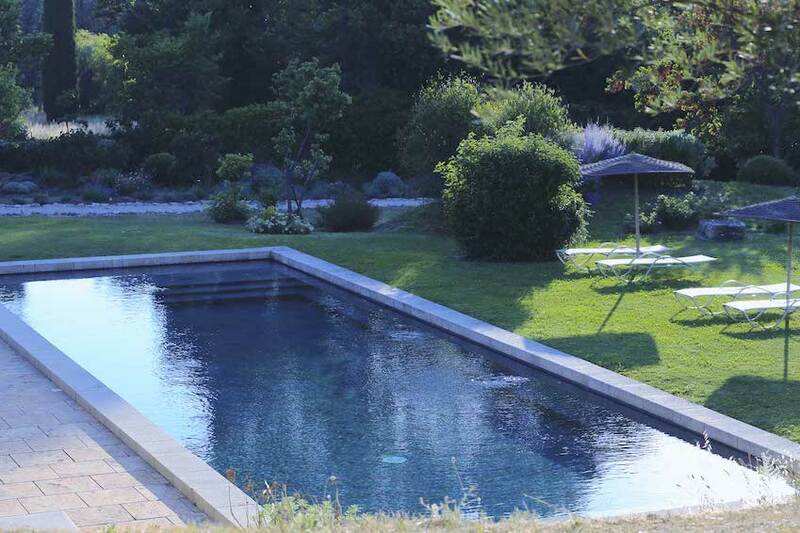 This villa is nestled in its own 3 hectares of land and is located in one of the most picturesque villages in France, Lourmarin. You enter straight from the garden, and are greeted with your own private, lush green paradise of lawns fringing a large pool, surrounded by large trees and dotted with many other plants. Breathe in the scents of Provence while your pets have the space to run around the gardens and elegant terraces that are spread out between the three houses that make up the property. Dine outside and admire the flowers, enjoying the much-needed fresh air that both humans and animals alike crave! The living and dining rooms in the greenhouse directly overlook the garden and pool if you did want to be inside while keeping an eye on your pets. The 18th century country house will enchant all, its cosy interiors and intimate garden spaces allowing a feeling of utter comfort and relaxation (and freedom for your pets!). 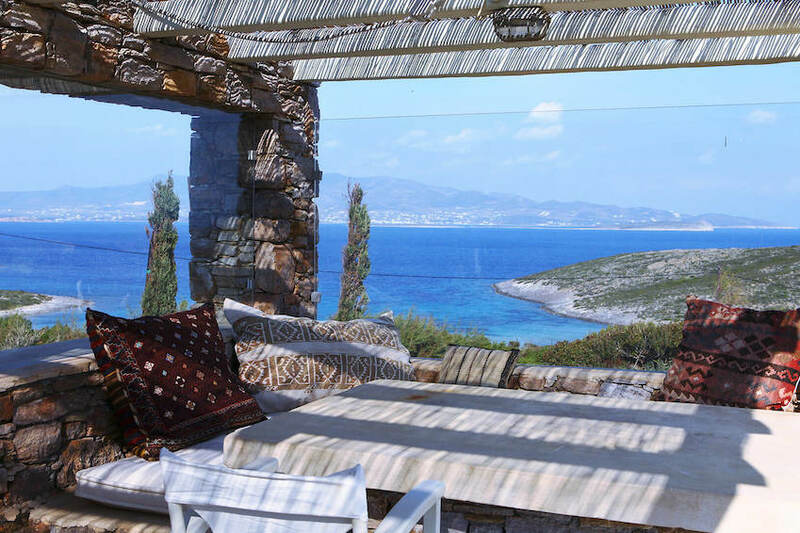 Perched on top of rolling hills with mesmerising views of the ocean, Villa Soros I is the epitome of beautiful Greek island architecture. Each space is thoughtfully designed to admire the outside surroundings, where every room opens out onto a terrace. It is part of a 20-acre estate, full of gorgeous cypress and olive trees and stone-walled flower beds, and has direct beach access (one minute’s walk away!) where your pets can run and swim to their heart’s content. Lounge around your infinity pool on the long, cushioned built-in sofas, breathing in the aromatic herbs of the Greek countryside. The villa also consists mainly of stone and tiled floors so that mess is of little issue. 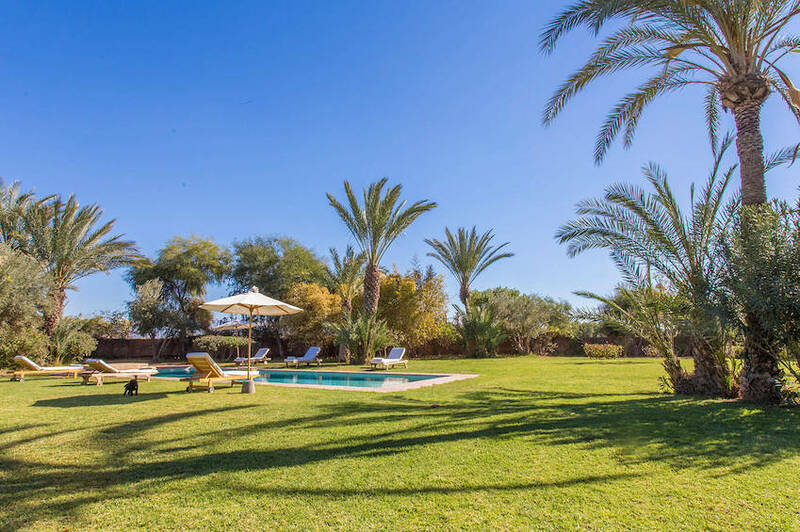 La Maison de Marion is the perfect villa in the Palmeraie in Marrakech if you have pets that love to play and run around for hours. The lush green lawns surrounding the outdoor heated pool are huge, and are dotted with grand palm trees that provide an ambience of the exotic. The many different trees also provide ample shade for both you and your pets when a break from the Moroccan heat and sun is needed, while you’re still in the open air. There are also outdoor covered dining areas so you can sit and eat while watching your pets explore the grounds. The downstairs living area is very spacious and has direct access to the garden, so is a great space for your pets to move to and from the outside. You could even bring your pet with you to Bali! If your tropical getaway would be incomplete without your pet experiencing it all with you, Villa Tropical Oberoi is your answer. Situated on over 1000 square metres of landscaped gardens, and with spacious terraces and interiors, there is plenty of room for 10-14 guests plus your pets to live comfortably. 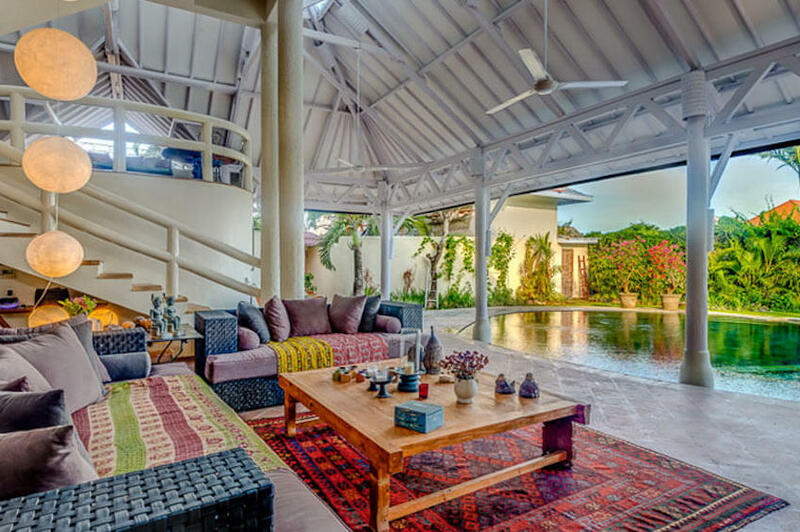 Exquisitely decorated interiors and exteriors, with a variety of outdoor seating options, including colourfully-furnished sofas and covered dining areas, mean a beautiful and airy stay for all guests, human and animal alike. The villa is also in close proximity of many great beaches for the enjoyment of all!